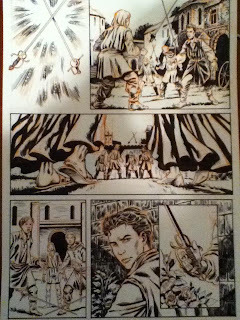 Crystal Fractal Comics: New Daniel Panero Bertucci pencils from 'The Crossing' #3! 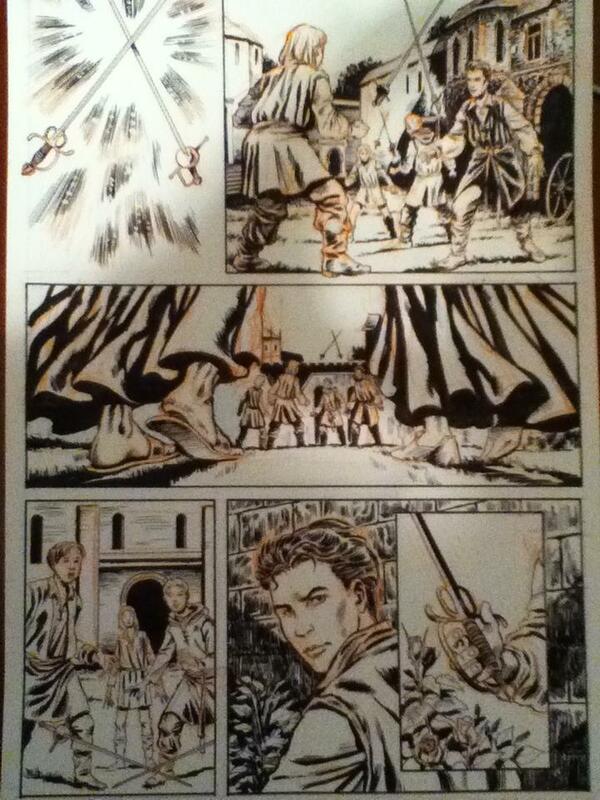 New Daniel Panero Bertucci pencils from 'The Crossing' #3! While a lot of our content lately has focused on our Redorik campaign through Indiegogo, we've got two other projects on the way! While Dr. 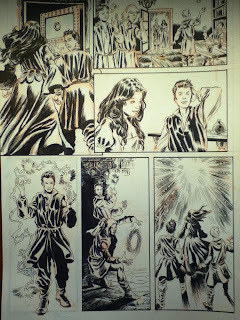 Twilight #2 is finished, and we'll be posting some of the finished pages closer to the release, Daniel Panero is working hard to finish off his pencils for his and Dino Caruso's final installments into their Magic 101 stories that feature a much young Doctor Twilight and his friends. The stories focus very much on how the Crossing event featured in Crystal Fractal Universe #0 came to happen, showing the childrens' education under their teacher, Master Ilonus. This latest story features the arrival of Elizabeth Windsor (who was featured as an adult in The Crossing #2) at the school. Here are Daniel's latest two pages for the story. Enjoy! The boys use their magicks to fence each other. Natanael shows off, Domenico opens a portal.